If you’re in the middle of wedding planning, chances are you’re stressed out, worried and more than anything, trying to make sure your special day is absolutely perfect. 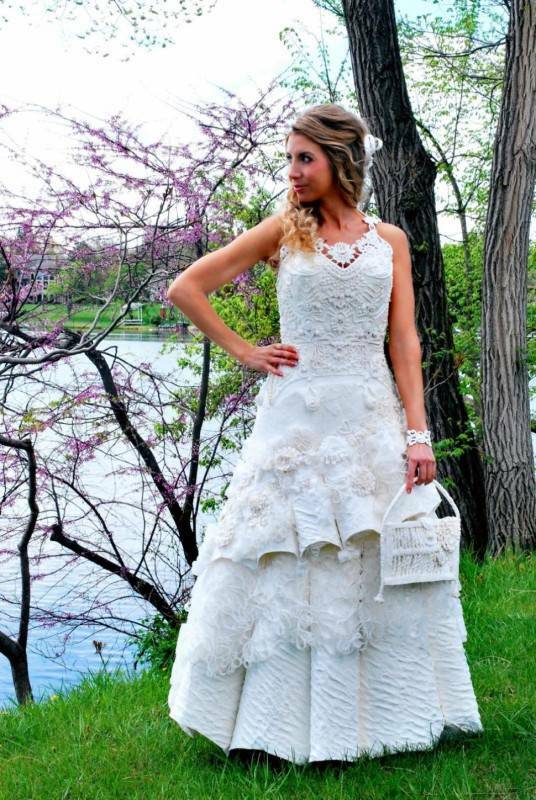 Well, take a moment to sit back and relax and check out these amazing recycled wedding dresses – created from random stuff! This fun wedding dress was created by 11-year old Emma Pritchard for a college fashion show featuring recycled items made into clothing. Yes – it’s made completely of trash! We think it’s pretty amazing! 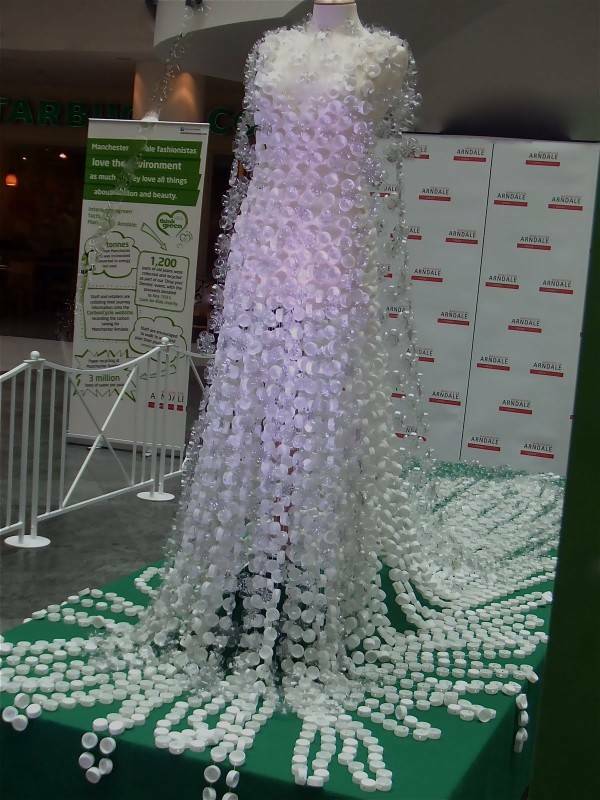 Eco-designer Michelle Brand created this dress from plastic water bottle caps and bases – it was featured at a 2-day exhibition at Manchester’s Arndale shopping center. This amazing dress is made completely of paper. 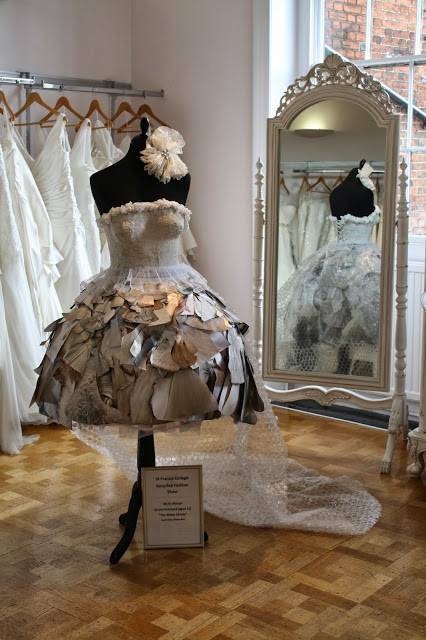 Artist Franky Ducharme creates dresses from recycled paper, and we think this one is simply beautiful! This dress is beautiful, right? Well would you guess that it’s made entirely from toilet paper? That’s right! The artist, Susan Brennan, won $10,000 for this dress which won a contest put on by Cheap Chic Weddings! 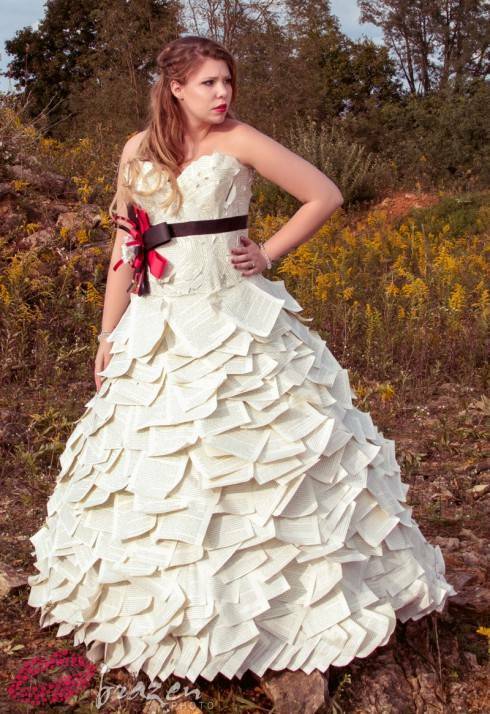 This dress is created from book pages, if you can believe it. It might not be the most comfortable dress to wear, but you have to admit that it’s pretty impressive! This may be our favorite dress on the list. It was worn by Ruth Hensinger, whose husband was a B-29 pilot in World War II. Maj. Claude Hensinger and his crew had to bail out of their plane when it caught fire on the return trip from a bombing raid in Yowata, Japan. After jumping, Claude used his parachute as a blanket until he was rescued. 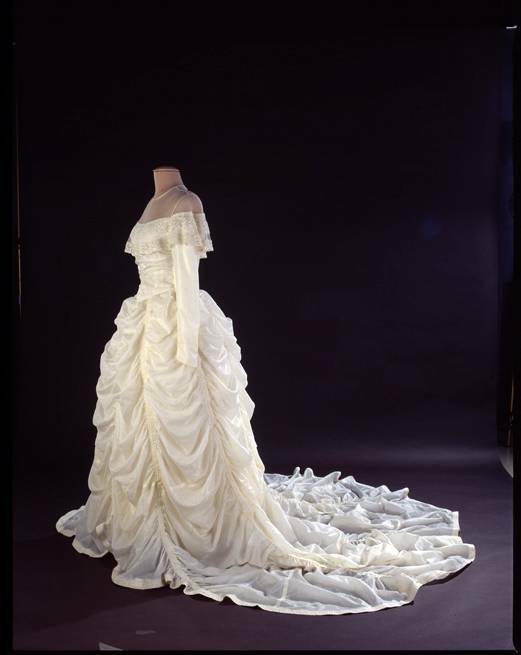 That parachute was used to create the wedding dress and the couple married in 1947. It was also worn by their daughter and daughter in-law, and is now in the Smithsonian Museum. Simply amazing. 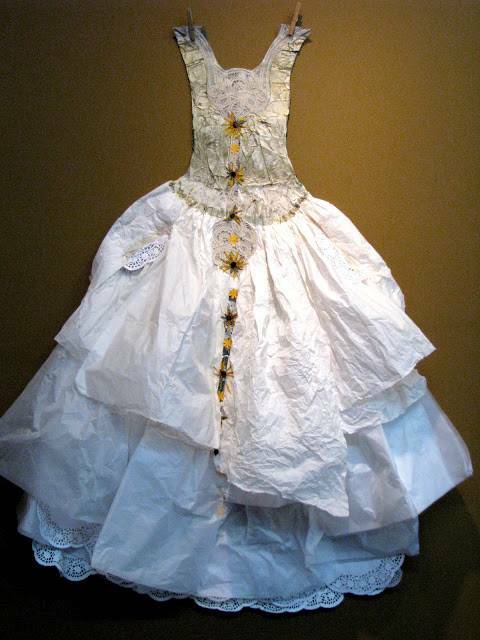 Which is your favorite recycled wedding dress? Let us know in the comments below!